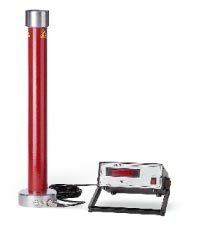 The IPG series of equipment can be used for checking the insulation of coils, cables, transformers and isolators. The high voltage is produced with a 50Hz transformer and adjusted by means of a variable transformer by hand or in automatic mode with a motor. The equipment of this series is generally used in laboratories or in production for quality control tasks. For testing involving direct current (DC), the high voltage is produced with a switching power supply from the HSR series. For making precise measurements with high AC and DC voltages, as well as of ripple components, the HMG series offers a range of measuring equipment for voltages up to 100kV (AC) and 300kV (DC). The equipment is usually produced to meet the specific requirements of customers.